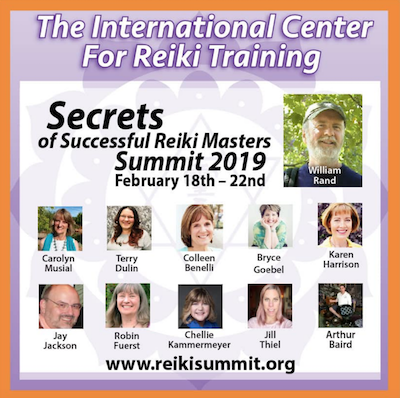 Join several of the ICRT's Licensed Reiki Master Teachers in this informative interview series. From February 18th- 22nd, 2019, you'll be receiving an email with a link to two interviews each day. Want early access to the interviews, or more interaction with our teachers or William Lee Rand? We have three options for you. All-Access Pass : Purchase the All Access Pass to get exclusive early availability to the interviews. Instead of having access to the interviews for 48 hours, you'll be able to listen beginning February 1st. Your access will continue through March 25th. Live LRMT Panel Discussion : Be part of a limited group joining several of our ICRT Licensed Reiki Master Teachers for a live panel discussion on February 21st at 7:00pm EDT. Our teachers are usually only together at the annual retreat, and never in this type of group setting. It's the perfect chance to ask your questions about anything Reiki-related and get multiple perspectives. The discussion will be recorded and you'll receive a link to the recording. Those purchasing this option will also receive the All Access Pass for FREE. I want it ALL : Register for the All-Access Pass, Live LRMT Panel Discussion and Live William Lee Rand discussion. NOTE: If you purchase the all access pass or a discussion, you will be taken to the website containing the interviews immediately after your purchase. Be be certain to save or bookmark that page.